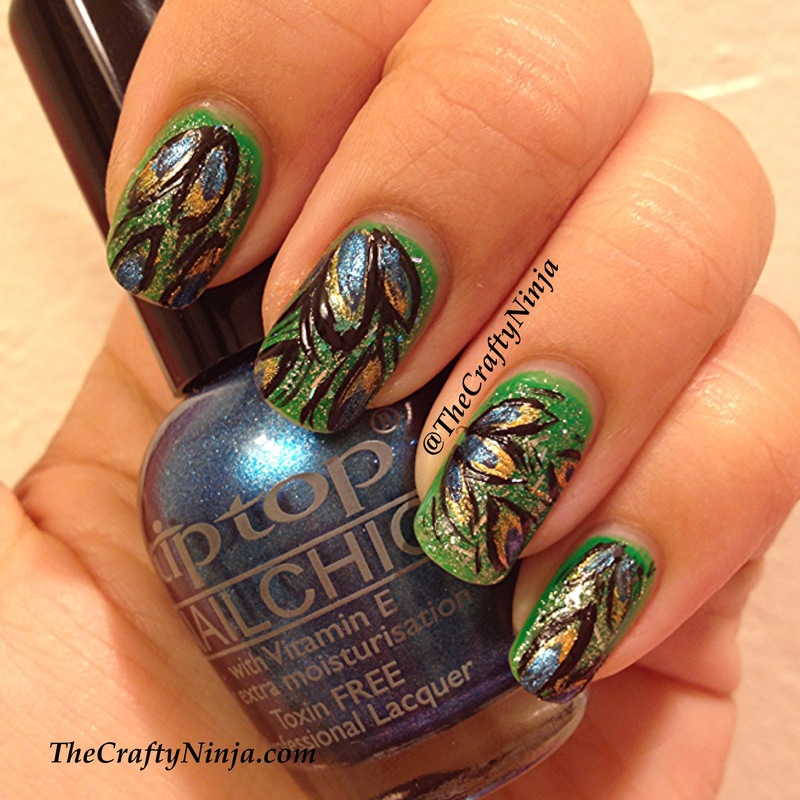 Today’s nail was inspired by the bright vibrant colors of the peacock feathers. Peacocks are so beautiful, almost like a mythical creature. 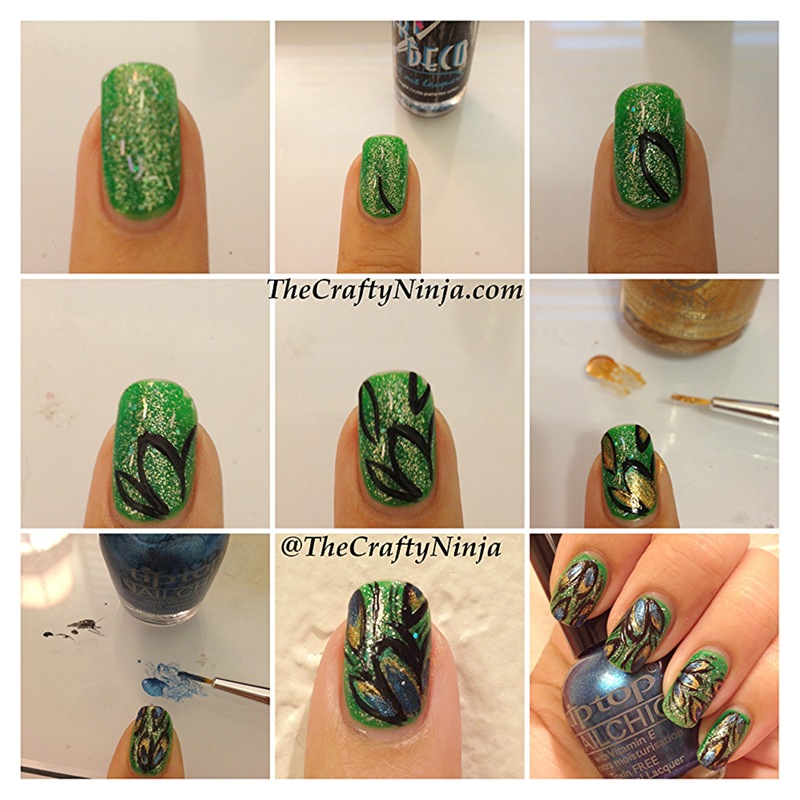 The peacock feather is always in style from home decore, fashion, and of course nail art.